Walked past this supra clean Celica on the way into Tokyo Express today with thoughts of how much I enjoyed the wheels. Then I realized what it was, I took a picture, spun around, and took a picture of my car. 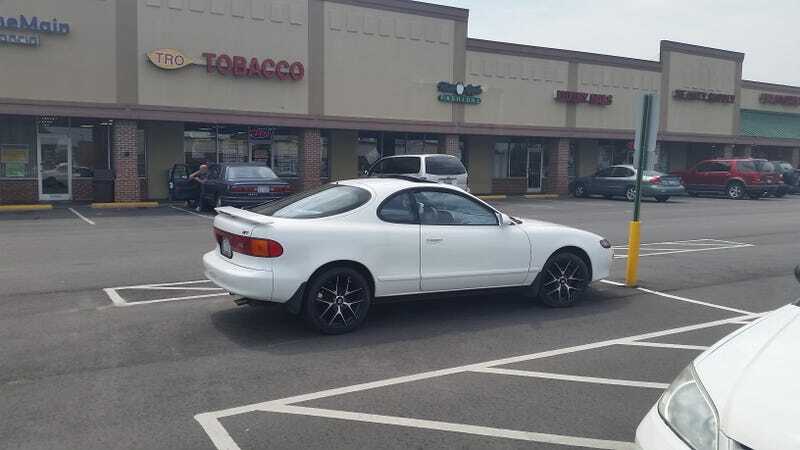 Can you spot why I might like the aftermarket rims on this Celica?